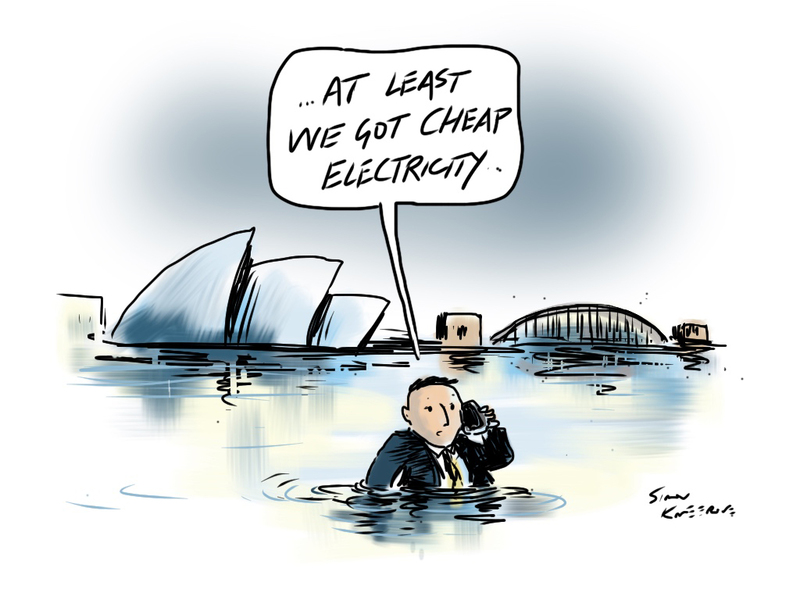 Preventing power blackouts is obviously important, and affordable power is a social justice priority. But all of that work must be done in the context of achieving net zero emissions. There’s little to be gained from cheap, reliable power if our global climate is allowed to become more unstable. More intense storms, flooding and droughts could readily undo any benefits. It’s too easy to be lulled into climate complacency, thinking that rising seas and extreme weather events are concerns that the next generation will have to face. But the carbon budget clock is ticking; the time for action is now. In her Quarterly Essay on Australia’s climate deadlock, Anna Krien illustrates clearly what is at stake. She argues that if Adani goes ahead with the Carmichael mine in central Queensland’s Galilee Basin, there will be a glut in the global coal market and prices will tumble. Inevitably this would slow the market-based orderly transition to renewables and put us all at greater risk. Energy policy that doesn’t prioritise our Paris climate commitments is a recipe for disaster. There’s a useful new reality-check tool from The Australia Institute: the National Energy Emissions Audit, to be updated by Dr Hugh Saddler every quarter. It tracks Australia’s emissions of greenhouse gases from the combustion of fossil fuels. This entry was posted in Activism, Climate change, Environment, Renewable Energy and tagged 350.org, activism, AYCC, climate change, coal, COP21, divestment, environment, future, politics, renewable energy, solar power, sustainability by Brian Loffler. Bookmark the permalink. The present Commonwealth COAL ition Government and its’ ultra conservative “rump” are a “Climate disaster” waiting to happen as they stand at the moment. The fossil fuel vested interests are their “puppet masters” especially one of the government’s high ranking officers who openly advocate in favour of fossil fuels at every occasion. The coalition government and the State Labour Government both support Adani but for different reasons . The federal Government know that the proposed Carmichael mine is a disaster from a climate change perspective but then are conscious of their political position which makes opposition to the mine difficult for them. This is in spite of the economic viability of the mine that financial institutions which are well aware of the economic consequences of the mine. It also spoils Australia’s chances of attracting substantial investment in renewable energy from local and international sources. Australia is very vulnerable to the effects of Climate Change which has serious Social , economic and environmental consequences which may have been considered but dismissed by some of the various controlling interests. The anti climate change interests are assisted by the difficulty of explaining Climate Change in simple terms that would be understood by the electorate.